Martha Stewart has had so many ups and downs in her life; a rollercoaster of intrigue, pot holders, basting, and jail time. To tell her life story you need more than words. You need muuuuuusiiiiiic. 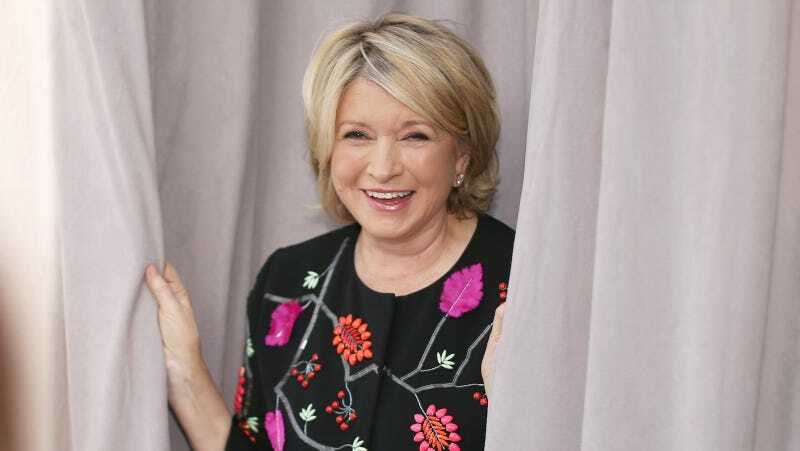 The Rise and Fall (and Rise) of Martha Stewart opens at Joe’s Pub (NYC) in August, the result of nine months of research, says Raftery, telling The Cut that he had to think long and hard about how to heighten on Cohen and Wintour. The story opens on the day Stewart’s expected to report to jail, and follows her as she climbs her way back to fame and what seems like a very chill job hosting a cooking show with Snoop Dogg. Raftery begs people on Twitter to join him at shows a lot (with some success), so who knows—you might see Stewart and Snoop in a booth some night.